There certainly are a lot of loopholes in the labeling of the food we eat! Unless you are armed with wealth of knowledge about ingredients, most rely on marketing terms like “natural”, “pure”, “gluten-free” and “organic” that show up in oversize letters on a box, can, or bag. After reading an article in the Environmental Leader about cereals and their actual ingredients I realize I need to be vigilant about my choices, especially if I do not want to include genetically modified ingredients in my diet. I also checked my favorite cereals on the “scorecard” and was disappointed to find ingredients I try avoid! The non-profit Cornucopia Institute has accused Kellogg’s, PepsiCo and Whole Foods of abusive marketing practices, saying the companies label cereals as natural even though the foods contain “toxic agrichemicals” and genetically modified organisms. 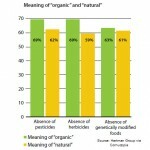 In a report, Cereal Crimes: How “Natural” Claims Deceive Consumers and Undermine the Organic Label (pdf), Cornucopia says that no government agency or certification group has defined what foods companies may label as “natural.” In contrast, to display the USDA’s “certified organic” label, foods must be produced without the use of petrochemical-based fertilizers, sewage sludge, synthetic toxic pesticides and genetically modified crops, Cornucopia says. The report charges that agribusinesses are trying to create the “illusion of equivalence” between the natural and organic labels, to intentionally mislead customers. This marketing move takes advantage of customer confusion, the report says, because many consumers do not understand the difference between the two terms. 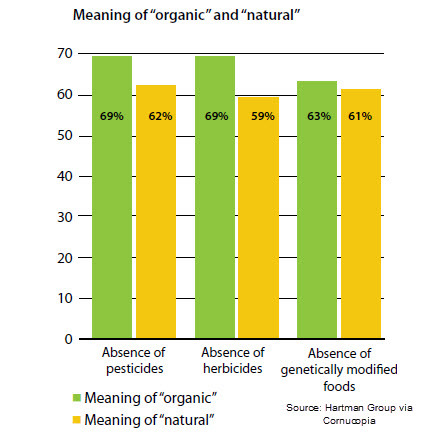 The Cornucopia report also says that some companies built customer loyalty as organic brands, but later switched to non-organic ingredients and called themselves “natural” instead. Cornucopia says “natural” products commonly use organophosphate pesticides, which it says have been proven harmful to humans. The non-profit also published a scorecard of breakfast cereals and granola brands, which it said would help consumers make informed grocery purchases. Next ›Will you Flu-proof your house?